This report is prepared as a part of the Masters of Business Administration (MBA)’s Internee course which will carry our 6 credit. 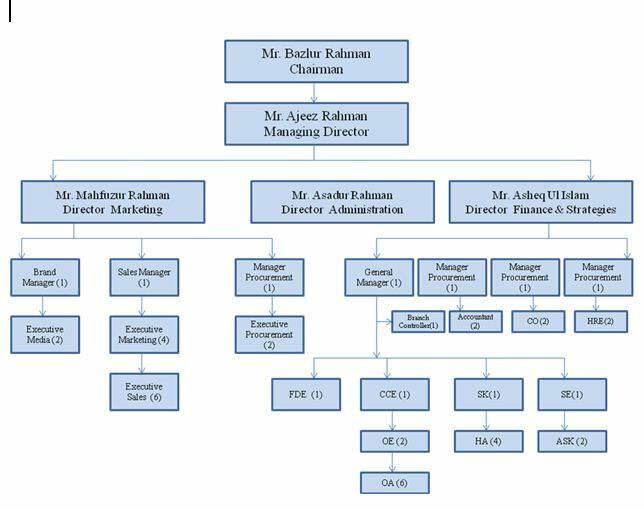 In this report we tried to present the total business environment of computer and its related all sort of accessories marketing system in Bangladesh. IT business marketing system and how customer gets products by distribution channel. Now-a-days all people are included internally or externally in Computer. Bangladesh is depended IT use for getting better life. IT business increasing day by day. • To evaluate the performance of the present Distribution Channel, Strategy and future position of Bangladesh especially in IT Sector. • To share some experience and opinion about our present situation which is made by the government by budget? • Student’s effect is related by environment of IT Business. • To describe the organizational structure, function of different departments and do SWOT analysis of Index IT Ltd.
• To do industry analysis by means of the 5-force model. • To describe the previous and present distribution network of Index IT Ltd.
• To analyze the distribution network of some other IT company. • To identify the limitations of the existing Distribution System of Index IT Ltd.
• To look into the problems which the channel partners face in doing business with Index IT Ltd.
• To provide a few recommendations based on the research finding. The study will describe the IT sector of Bangladesh with a focus on Index IT Ltd and its distribution systems. However relevant & necessary analysis of industry aspects and other company activities will be made. 2. Some survey’s well structured questionnaire consisting a number of multiple choice questions is used in the survey. 3. The files which was as a documents in company’s branch office and Head Office. 4. All employees are helped to get previous information both Index IT Limited’s activities and Samsung’s Electronics Limited’s steps which are very much important for IT business in Bangladesh. The major limitation for this report was primarily the reluctance and strict adherence to confidentiality maintenance shown by the officials of IT Company. Most of the calculations had to be made taking Samsung figures as the industry average. Most of the relevant literature and study materials on the IT sector are not updated, and no comprehensive in-depth study on the IT industry could be found. Furthermore, some information was withheld to retain confidentiality of the companies. Exact verifications of some information could not be made owing to this. INDEX IT LIMITED Is an ISO Certified (9001:2008) Company specializes in the import and distribution business of computer components. Since its inception in 1994 Index has been doing their operation with quality, support & moderate price. From 1997 INDEX IT LIMITED the authorized distributor of Samsung IT and lifestyle Product (LCD Monitor, LED Monitor, Hard Disk Drive, Laptop, Digital Photo Frame, Multimedia Projector, Optical Media Storage & RAM) & one of the older distribution of Samsung Electronics in South Asia. INDEX IT LIMITED is also Authorized partner of Hitachi Hard Drive, Moserbaer CD/DVD, Digital Computer case, mouse & keyboard, EVM Memory (RAM) in Bangladesh market and authorized Business Partner of HP, PC Security Shield (Anti Virus and Anti Spyware protection). INDEX IT LIMITED is operating their business throughout their 11 retail outlets in all over Bangladesh. We are going to launching from July 2011 new two branch and one service center in the Dhaka city. For the first time in Bangladesh, The BCS Digital Expo organized by Bangladesh Computer Samity has been inaugurated this year. Prime Minister Sheikh Hasina inaugurated the most significant IT event on March 25,2009. Samsung through INDEX IT LIMITED & Smart Technologies was the sponsor of this year Digital Expo -2009. In the Samsung Pavilion different types of lifestyle product displayed. Everyday quiz program arranged for the visitors. People get the idea of new Samsung digital lifestyles products such as digital photo frame, multimedia projector, digital camera, digital camcorder, LCD monitors from the pavilion. The annual CSE Festival 2008 of Computer Science and Engineering (CSE) department of BUET has ended with a colorful and rich cultural night in BUET Auditorium on October 30, 2008. The purpose of CSE Festival was to promote good relations among the BUET CSE department and other universities and industry. The festival was successful with its view of co-operation. BUET CSE students manifested their excellence in co-curricular activities besides their glorious academic background with the support from teachers, and as a signature produced this “CSE Festival 2008”. Music, dance, drama, comedy, and many more cultural items were brilliantly performed by CSE students.A jam packed audience of students, teachers, and guests enjoyed every bits and bytes of the cultural night. A prize giving ceremony for Inter-University Math Olympiad, National Collegiate Programming Contest (NCPC), and Inter-University Project show was held just before the cultural night. Professor Dr. A. M. M. Safiullah, honorable Vice Chancellor of BUET, was the chief guest in the prize giving ceremony. Professor Dr. Md. Saidur Rahman, Head CSE Department of BUET has presided over the prize giving ceremony. Mr. Mahfuzur Rahman, Director-Sales & Marketing & Mr. Safiul Islam Khan-Sr. Marketing Executive of Index IT Limited were present on the occasion. Mr. Mahfuzur Rahman was handed over the prizes to the winners as the guest. Dr. Md. Humayun Kabir, Coordinator of CSE Festival 2008 and Associate Professor of CSE department has hosted the prize giving ceremony. For the festival rally Samsung through authorized distributor of Index IT Limited sponsored T-shirts for the students and teachers of CSE department. A high level delegation recently visited INDEX IT IDB Bhaban sales center. The 3 member team headed by the CEO of Samsung (South-West Asia Operation) & president of Samsung India Electronics Limited Jung Soo Shin held a meeting with Index Managing Director Md. Ajeezur Rahman & Director- Finance & Strategies AsheqUlIslam. The team also visited the IDB Bhaban market & expressed its satisfaction. They also meet with BCS member at the BCS Computer City. INDEX IT LIMITED authorized distributor of Samsung Electronics Private limited in Bangladesh was opened its 7th Branch called “Samsung Display Center” in Narayanganj on 25th April, 2009. This new display center will help to increase the reach Samsung lifestyle products availability to the end users at Narayanganj. This new Samsung Display Center is located at Samobay New Market 194 BB Road Chasara, Narayanganj-1400. Mr. Y B Won, Bangladesh Country Manager of Samsung Electronics inaugurated the new “Samsung Display Center” where Mr. Ajeez Ur Rahman, Managing Director of INDEX IT LIMITED, Mr. Asheq Ul Islam, Director- Finance & Strategy and Mr. Mahfuzur Rahman, Director Client Relationship of INDEX IT LIMITED were also present at the opening ceremony with others official of Index IT Limited. Promoting to retail sale of Samsung lifestyle products was the main focus of INDEX’s new endeavor. And INDEX proudly feels that the goal has been achieved. The visitors admired the Samsung products on display & inquired about the lifestyle products. Samsung’s all kinds of lifestyle products including Digital Photo Frame, Home Theater Projector, Hard Disk Drive, Optical Disk Drive, Laptop & various Samsung lifestyle LCD Monitors will be available in this outlet with warranty. After that INDEX IT LIMITED organized an inaugural program in Narayanganj club whitened by many dignitaries. Mr. Ajeez ur Rahman Managing Director of INDEX IT LIMITED addressed the audience in that program. A stunning fashion show bared on the theme of “Samsung Digital Lifestyle” was held at the end of the program also followed heartwarming concert by Kona & Dinner. The Samsung-INDEX Business Conclave 2008 was held on August 09th,2008 at the Celebrity Hall of Bangladesh China Friendship Conference Center. In the event the Digital Technology Leader Samsung Electronics announced several new initiatives to strengthen it IT peripherals business in the country this Year. The Company, which is the global market leader in Colour Monitor today announced the launch of three new advanced LCD Monitor series in the market as well as its foray into two new product verticals- Projectors, Thin Client. The new advanced feature rich premium LCD Monitor series- T Monitor, Myst Plus and Lime offer consumers total display solutions for their home and office requirements. Speaking on the occasion, Mr. Y Y Kim, Director Marketing of Samsung Electronics stated. “In keeping with the global market trends the Bangladesh Display market too is witnessing a dramatic shift in favor of LCD Monitors. Samsung as the global leader in LCD Monitors is fueling this transition in Bangladesh by continuously launching LCD Monitors that lead in terms of their design performance and innovative features “With the launch of the new series of LCD Monitors & Projectors SAMSUNG, is aiming to become a total Display Solution Provider, now has an enhanced portfolio aimed at Home & SOHO customers. The Company already has a strong lineup in Large Format Displays aimed at Public Display locations and Corporate. Mr. Lokesh Nagpal Manager Export Business Group and Mr. Anurag Kumar, Asst. Manager Export Business Group attended the event and interacted with the Samsung dealers. Index IT Limited is the authorized distributor of Samsung IT products in Bangladesh and also the Co-host of the event. The Managing Director of Index IT Limited Mr. Ajeez Rahman Thanked all the dealers, partners, bankers, IT journalist and well wishers for all the support and Co-operation in the 15 years of journey of Index IT limited and 11 years partnership with Samsung Electronics. The event was attended by over 800 guests who enjoyed the product presentation and the show. The Price of all goods should be given only with PC. 1. Scheme Period: 10th March to 10th April 2011. 2. Eligibility: This following scheme will be valid till mentioned period purchase from INDEX IT LIMITED for any model of SMASUNG LCD/LED Monitors. 1. Samsung and Index IT Ltd will take the responsibility for Air ticket and hotel booking. For visa processing our valued dealer will take their own responsibility. 2. Only channel LCD monitors will fall under this scheme. 4. Channel Partners (Dealers) need to submit photocopy/Scan copy of purchase invoice provided by Index IT Ltd to Samsung Dhaka Branch Office on Saturday of every week where quantity, price, serial no: is clearly mention. a. Mention “Samsung Monitor Channel Partner’s Scheme” in the subject for scan copy sent through e-mail. Mention Dealer’s name and detail contract (Name, Phone number, address) clearly in sender address. Name/Address need to match with Index IT Ltd’s invoice. b. Mention “Samsung Monitor Channel Partner’s Scheme” on the top middle side of the envelope for invoice copy sent through courier. Mention Dealer’s name and detail contract (Name, Phone number, address) clearly in sender address. Name/Address need to match with Index IT Ltd’s invoice. 5. All invoice copy from Index IT Ltd need to reach Samsung Branch office by dealers and no claim will not be accepted after one week (5 working days) of this scheme period (10th April 2011). 6. One dealer is eligible for one award only. 7. For foreign visit dealers need to submit name and detail of the person who will visit after confirmation from both Samsung & Index IT Limited. 8. Samsung reserves the right to change this scheme at any time. 9. Sales return will not be allowed for this promotion. This is our immense pleasure to bring in your kind notice that Bangladesh Computer Samity is going to organize the exhibition based on applications & services providing digital processes & systems and digital life style in the name of ‘BCSICTWORLD 2011′ with the theme of ‘Digital Bangladesh for New Generation’. The expo will be held at the Bangabandhu International Conference Centre, Sher-E-Bangla Nagar, Dhaka during November 21-25, 2011. The exposition will be colorful, business friendly and a celebration to learn something in its nature and exclusive events to flourishing ‘Digital Bangladesh’ speedy. The honorable Prime Minister of the People’s Republic of Bangladesh Her Excellency Sheikh Hasina cheered us to organize this kind of event and inaugurates earlier. Following the tradition, to promote the most popular & vibrating national program of building ‘Digital Bangladesh’ we hope that, she will be kindly consent as the Chief Guest to inaugurate the same. The 5-day gleaming expo will take place in an area of around 200,000 square feet to display the segment-wise applications & services, communication tools, technologies and techniques that the people of all walks of life are rapidly being used to use as their daily work processes, livelihood & home appliances. As such, there is the widest range of opportunities to highlight the presence of efficient products and services to fulfill our dream. Considering your company, as one of our most valued and desired sponsors, we would like to request you to sponsor ‘BCSICTWORLD 2011′ at any one of the categories provided at the Sponsorship package enclosed hereto, which one matches the most with the type of your businesses & services and also you could sponsor beyond your matching category of business at your liberty. 3. Manufacturer can supply his products any country on his choice. 4. Developed country can serve his logistic support better than Bangladesh. 5. L/C or other supports are better than our country. 6. Government help is insufficient which increase bargaining power of supplier. 1. Computer customers have significantly low bargaining power because of the high cost of procurement of computer. They have to rely for spare parts and other help like after sell service. 2. Home Users may switch from Index IT to other company. In many causes it is seen that home users if get better price offer than he take alternative decision to his choice of brand. 3. In cases of corporate users which require high deposits to operate them and give them total solution, buyers have significantly less purchasing power. The amount of investment means that customers cannot shift easily from one company to another. 1. Admission process of Collage base on web site. 2. Admission process of University base on web site. 3. Government job application processing system fully on website base. 4. In Government School, some Computer are given on Government cost. 1. Take some decision from top level of management. 2. Decided of quantity are made. 5. Make L/C to next lot to import. 6. Contact with Export Company. • Appointed for a defined area or territory. • Distribute stocks to ‘Exclusive POS’ and ‘Retailers’ within the allocated area/territory. • Monitor & control the activities of POS. And for information customer can use info@indexitltd.net. 1. Index IT Ltd should focus mostly on after sell service and genuine products guarantee. All over the Bangaladesh, our branch are spread with network quality and network coverage to retain its customers. 2. Switching tendency from Index IT Ltd is very law in individual customers. Business customers and corporate customers switched from other company’s mostly. 3. Index IT Ltd should restructure its package so that it can grasp the Business customers and Corporate Customer as this sector is the most revenue-generated sector among all sorts of IT products. 4. The new offering of PC Security “Shield Deluxe” would be very much prospective to Business and Corporate Customer if it is offered at most economic rate. In fact, current price for same offer of other company more cost effective than Index IT Ltd’s antivirus products. 5. Previous distribution of branch network was good, but now we are very much strong and our branch increasing shown us excellent future. 6. Index IT Ltd should implement more loyalty plan like gift items, discounts on event package. with long term vision to retain its existing customers.